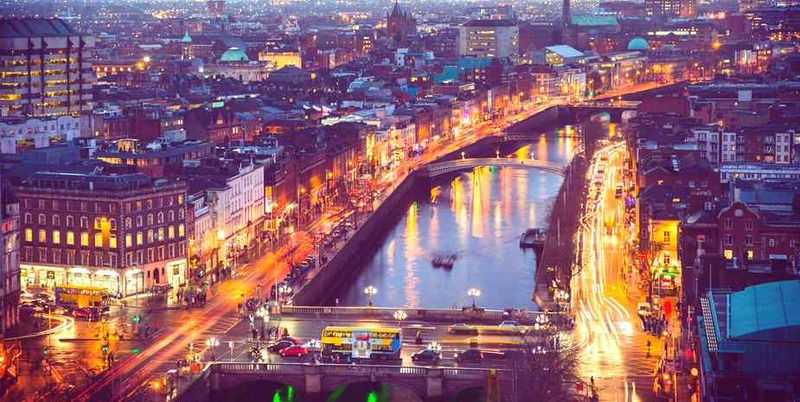 If you’re heading over to the Emerald Isle and you’re looking for unmissable tourist attractions in the country’s capital, then here at Easirent we’ve got you covered. Pick up your Easirent hire car from our Dublin City branch and pay a visit to some of our favourite tourist attractions in the city. No visit to Dublin is complete without a visit to the Guinness Storehouse. World famous for being the home of the black stuff, the St James’s Gate Brewery has been brewing Guinness since 1759 and is just a short journey in your Easirent hire car from our Dublin Airport branch. Visit the towering seven-story building, which has been modelled into a giant Guinness glass, and learn the complete history of the famous beer. Don’t forget to check into to the Gravity Bar for unparalleled 360-degree views across Dublin city. The book of Kells is located in the beautiful Trinity College Dublin, which has been its home since 1653. Written around the year 800 AD, the Book of Kells is one of the most beautiful and well-preserved manuscripts in the world and is definitely worth seeing when you’re in Dublin. Composed by Irish monks and buried in the ground to conceal it from the Vikings, the Book of Kells is a 680 page Latin manuscript containing the four gospels. Nestled in the heart of Kildare Street in Dublin, the National Museum of Ireland takes an in-depth look at Celtic and Medieval Art and exhibits include the Ardagh Chalice and the Tara Brooch. Lose yourself in some of the world’s most beautiful prehistoric gold artefacts and experience what life was like during the Viking Age in Ireland. Pick up your Easirent hire car from our Dublin Airport branch and head to Dublin Zoo for a day of family fun. Many rare and exotic animals live in Dublin Zoo including giraffes, zebras, ostriches and scimitar oryx. Located in Phoenix Park in the heart of Dublin city centre, Dublin Zoo is home to lots of different habitats, including the African Savannah and the Kaziranga Forest. Once home to Edward Cecil Guinness, who was the great-grandson of Arthur Guinness, Farmleigh House was built in the second half of the 18th century and is one of the city’s finest examples of Georgian-Victorian architecture. Take a trip through the beautiful walled gardens to the famous clock tower, or lose yourself in the Benjamin Iveagh Library, which houses some of the best examples of Irish book binding from the 18th to the 20th century.